Australia’s Big Bash League explodes into life for its eighth season on Wednesday boasting new ideas but only a handful of top players as the high-octane Twenty20 tournament tries to build on its success. 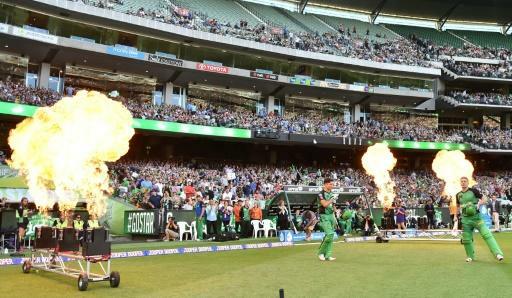 Explosive start: Australia’s Big Bash League bursts into life for its eighth season on WednesdayAustralia’s Big Bash League explodes into life for its eighth season on Wednesday boasting new ideas but only a handful of top players as the high-octane Twenty20 tournament tries to build on its success. “For me it’s a great moment which reflects what BBL is about,” said Kim McConnie, Cricket Australia’s head of the Big Bash League. “The tournament is marketed brilliantly and apart from the Indian Premier League is the envy of the cricket world in many ways,” said former Australia batsman Dean Jones, now head coach of Islamabad United in the Pakistan Super League.